When you’re charging through rocks, roots and ruts at top speeds, you need to stay on your game. 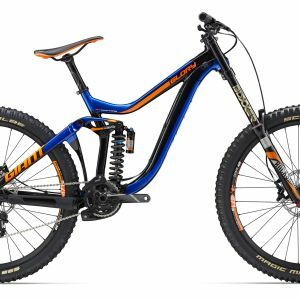 With 203mm of fully active Maestro Suspension and a lightweight, super-strong ALUXX SL frame featuring a co-pivot shock mount, the Glory 27.5 has been tested and proven by some of the top DH racers and gravity riders in the world.. The frame is engineered with geometry that’s optimized for its 27.5 wheels, plus a super stiff OverDrive steerer tube for unwavering control and steering precision. 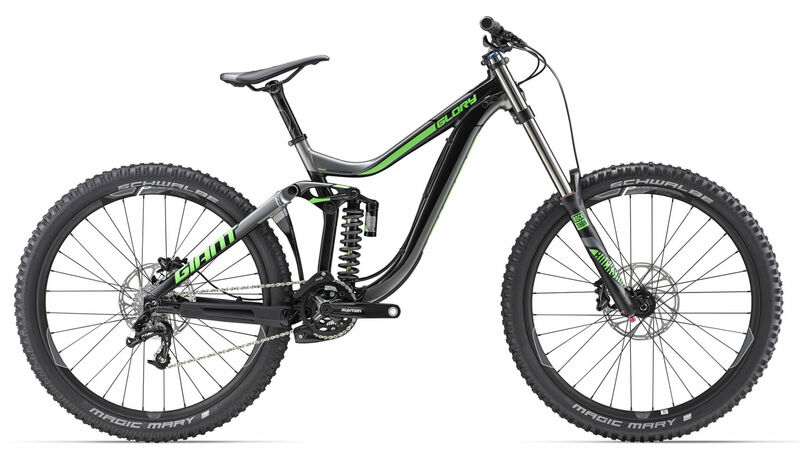 Glory helps you boost your confidence and increase your speed on fast, technical DH terrain. Aggressive geometry, including a 63-degree headtube angle and a longer wheelbase, designed through collaboration with the Giant Factory Off-Road World Cup DH race team to excel in the toughest terrain.